A pathbreaking history of the Vietnam War reveals that the Northern government was far more divided and discouraged than commonly believed. Yet the fact remains that the United States and its allies in the South always faced very long odds of success. Fredrik Logevall is John S. Knight Professor of International Studies at Cornell University and the author of Embers of War: The Fall of an Empire and the Making of America’s Vietnam. This past Memorial Day, U.S. President Barack Obama marked the 50th anniversary of the start of the Vietnam War with a speech at the Vietnam Veterans Memorial. 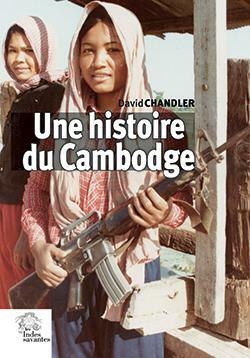 « Even now, historians cannot agree on precisely when the war began, » he said. « But if any year . . . illustrated the changing nature of our involvement, it was 1962. » It’s a debatable choice. 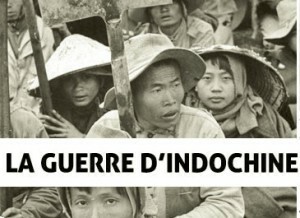 The United States was already deeply involved in combating the Communist-led insurgency in South Vietnam in the late 1950s and before that had supplied and bankrolled France’s losing effort against Ho Chi Minh’s revolutionary forces. Historians usually date the start of the Second Indochina War — what the Vietnamese refer to as « the American War » — to 1959 or 1960. Still, there is no question that Washington’s military commitment deepened appreciably in 1962, as vast quantities of U.S. weapons, jet fighters, helicopters, and armored personnel carriers arrived in South Vietnam, along with thousands of additional military advisers. That year, the Pentagon set up a full field command called the Military Assistance Command, Vietnam (MACV), and put a three-star general, Paul Harkins, in charge. Victory never came. Despite the more than half a million U.S. soldiers President Lyndon Johnson sent to Vietnam, and the more than eight million tons of bombs the U.S. Air Force dropped on Vietnam, Laos, and Cambodia from 1962 to 1973, Washington could not achieve its core objective: to preserve an independent, noncommunist South Vietnam for the indefinite future. In January 1973, U.S. and North Vietnamese negotiators signed a cease-fire agreement in Paris; two months later, the last U.S. ground troops left South Vietnam. Both the North and the South soon violated the cease-fire, and large-scale war resumed. 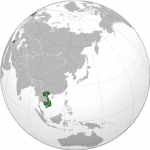 On April 29, 1975, the South Vietnamese government collapsed, and Vietnam was reunified under a communist government based in Hanoi. 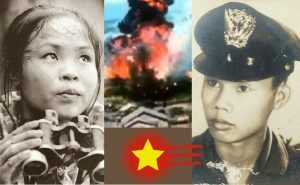 By the time the fighting stopped, it had claimed the lives of three to four million Vietnamese, hundreds of thousands of Cambodians and Laotians, and more than 58,000 Americans. 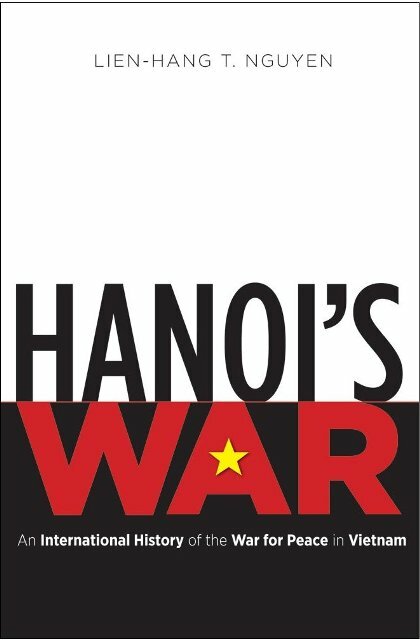 Now, Hanoi’s War, a pathbreaking new book by the historian Lien-Hang Nguyen, illuminates the decision-making behind the North’s relentless resistance, helping readers better understand why the struggle lasted as long as it did and why all those people died. 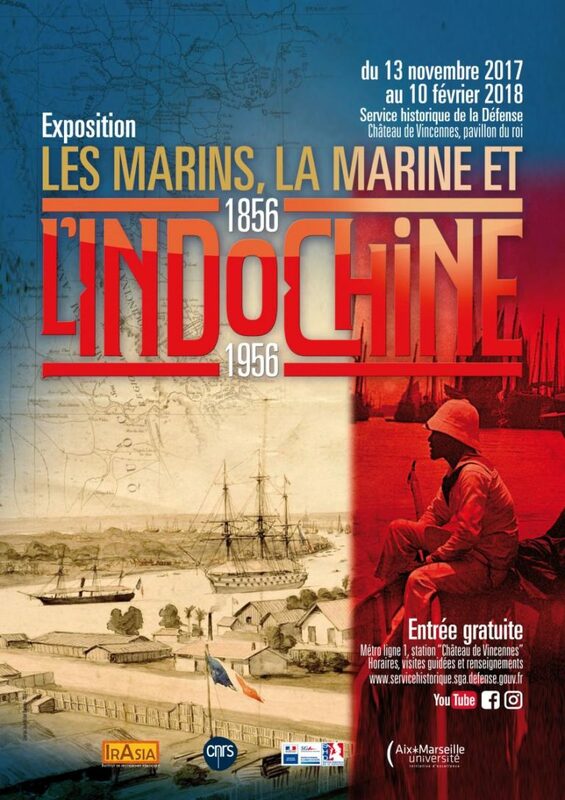 For the past four-plus decades, scholars, journalists, and memoirists have tried to explain this bloody Second Indochina War: its origins, its escalation, its long duration, and its denouement. U.S.-centered accounts written by American authors have dominated the literature. 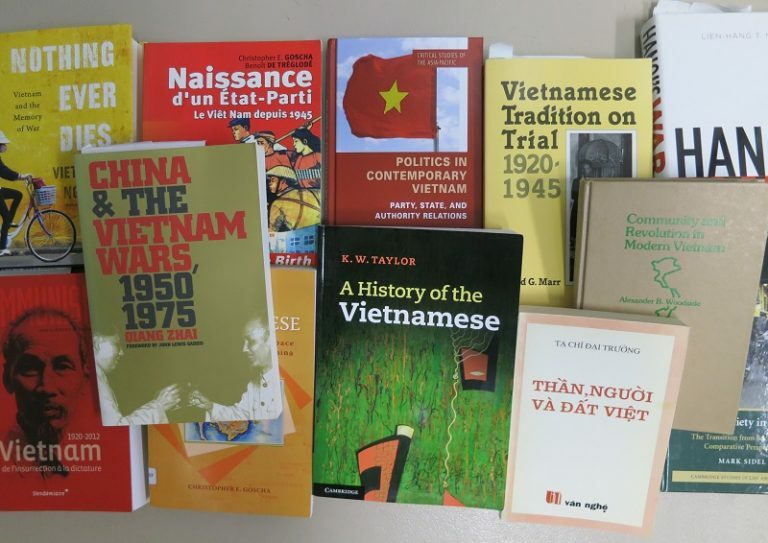 Long before U.S. archives were opened, these histories reached a broad, orthodox view of the reasons for defeat, agreeing on several key points: that U.S. involvement was the product of ignorance about Vietnam and misplaced faith in the efficacy of U.S. military power, that the successive South Vietnamese governments after 1954 were authoritarian and unpopular, and that Washington therefore made the disastrous mistake of intervening in a civil war among Vietnamese in which the other side had the mantle of nationalist legitimacy. Although U.S. forces fought well, the war was ultimately unwinnable for the simple reason that no military solution could ever be had. The war had to be won politically or not at all. Thus, David Halberstam’s hugely influential book The Best and the Brightest, which appeared in 1972, described how hubris and a belief that victory was inevitable pulled U.S. leaders, bit by bit, into the « quagmire » of Vietnam. And thus, Frances FitzGerald’s Pulitzer Prize-winning Fire in the Lake, published the same year, argued that Americans foolishly blundered into another people’s history, in the context of which the United States’ military power was ultimately irrelevant. For Halberstam and FitzGerald, to talk of alternative U.S. strategies that might have worked was mistaken: no better option existed. Nevertheless, the massive outpouring of scholarship on the war in the past 12 to 15 years has challenged the older interpretations and rendered some of them untenable. No longer can it be seriously argued, for example, as Halberstam and the historian Arthur Schlesinger, Jr., claimed, that U.S. leaders stumbled blindly into a quagmire, step by step, until one day they found themselves in what none of them wanted: a land war in Asia. To the contrary, their eyes were wide open, and they mostly understood the likely ramifications of their choices. Nor does the internal record show much evidence of hubris, at least with respect to the military prospects. From an early point, President John F. Kennedy and Johnson, along with their top aides, were somber realists on the war. 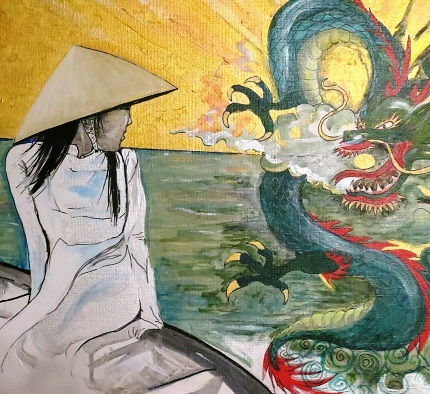 Although they were hardly experts on Vietnam’s history and culture, they were not the ignoramuses many in the antiwar movement made them out to be; they realized that the United States faced long odds, even with a major military escalation. Privately (and only privately), they also on occasion admitted the impermissible: that the outcome in Vietnam might not matter all that much to U.S. and Western security. The United States had made a commitment to South Vietnam, however, and Kennedy and Johnson saw no option but to maintain it. 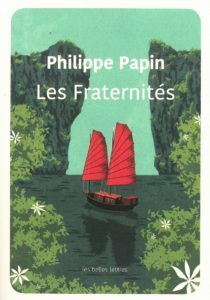 They found what their predecessors in the White House, as well as a long line of leaders in France, had found, and what President Richard Nixon would discover after them: that in Vietnam, the path of least immediate resistance, especially in domestic political terms, was to stand firm in the hope that somehow things would turn out fine — or at least, as in some high-stakes version of the game old maid, be handed off to the next in line. New works have challenged the old orthodoxy on other points, as well. 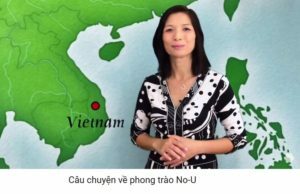 The question of which among the competing Vietnamese leaders actually had popular legitimacy — one of the most slippery concepts in political science — has gotten harder to answer in recent years, as scholars have reexamined the government of South Vietnam, especially under Diem, who took power in 1954. Diem, it is now clear, was an intelligent patriot who possessed a detailed vision for his country’s future. 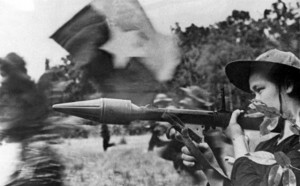 Some revisionist authors have extended this line of argument, alleging that the legitimacy of Diem as a Vietnamese leader matched or even exceeded Ho’s and that he was well on the way to victory against the insurgency when he was deposed and killed in a U.S.-sanctioned coup in November 1963. That claim goes too far. Over time, Diem’s defects as a leader — his obduracy, his political myopia, his easy resort to repression — became increasingly obvious to the Vietnamese people. American officials were fully cognizant of these limitations but could find no one better, and so they stuck with him, their influence sagging with each passing year despite the regime’s complete dependence on U.S. aid. 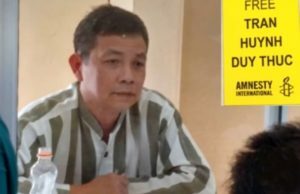 By most measures, Diem’s government was losing the war when he was overthrown, which is precisely why U.S. officials threw their support behind the coup. With respect to the later phase of the war, it is now clear that things went better for U.S. and South Vietnamese forces after the Communists’ Tet offensive, in 1968, than earlier histories suggested. Vietcong forces were decimated in the fighting, and in the months thereafter, General Creighton Abrams’ « clear and hold » strategy of controlling patches of territory and defending their inhabitants (a change from the « search and destroy » strategy used by Abrams’ predecessor at MACV, General William Westmoreland) made indisputable progress. But it remains unclear how lasting this success was; detailed, archives-based scholarly works on the war in the South during this period are only starting to emerge. Still, the existing evidence offers little reason to think that victory was within reach. For one thing, notwithstanding the heavy Vietcong losses during Tet, the Communists maintained the ability to carry out nationwide attacks, and indeed, for most of 1969, South Vietnam was plagued by so-called mini-Tets. Although these attacks never threatened to topple the Saigon regime, they indicated that the Vietcong was still a force to be reckoned with. Hanoi largely recovered from the Tet offensive by replacing southern forces with northerners, and men and supplies from the North continued to infiltrate the South. Few senior U.S. officials at the time believed the military situation had swung unequivocally and permanently in their favor, much less that victory was close at hand. They understood that gains in the countryside in the aftermath of Tet were limited to certain areas and did not imply growing popular support for the Saigon government, which remained incompetent, authoritarian, and corrupt. The massive use of firepower deemed essential to clear and hold territory did not help win hearts and minds. 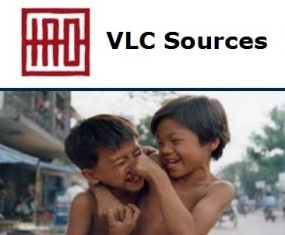 Time and again, U.S. economic reports complained that South Vietnamese authorities were unable to collect taxes outside of a few urban areas and that the government was therefore unlikely to survive long without being propped up by Washington. The Communists, meanwhile, continued to collect taxes, replenish food supplies, and draft soldiers; in other words, they did all the things that a government controlling its territory ought to be able to do. The North’s policy in these final years is the central concern of Hanoi’s War. 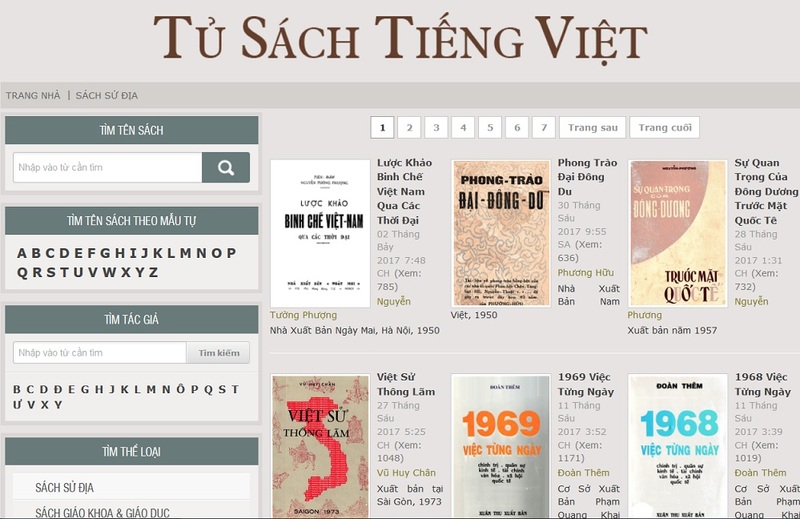 Years in the making, Nguyen’s book is based on a range of Vietnamese-language materials, published and archival, although not records from North Vietnam’s Politburo and other high-level sources, which remain classified. It sheds much light on how leaders in North Vietnam approached the fighting and, especially, the diplomatic negotiations from the time of the Tet offensive to the signing of the cease-fire, in 1973. 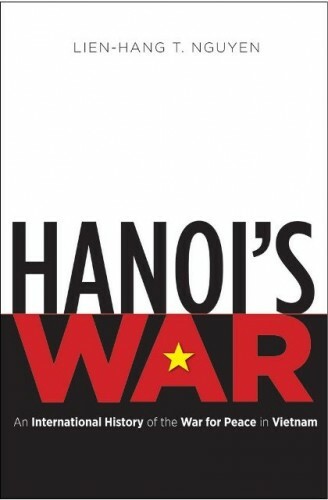 Without question, Hanoi’s War stands as a major accomplishment and one of the most important scholarly works to appear on this later, and relatively understudied, phase of the struggle. 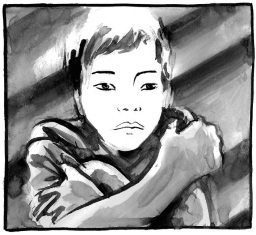 The principal player in Nguyen’s story is Le Duan, the leading figure in the North’s hierarchy in the later stages of the war yet a shadowy figure in most histories of it. 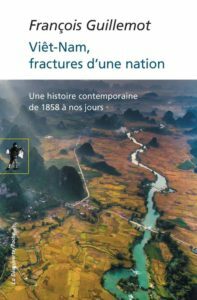 A native of central Vietnam, Le Duan got his start battling the French in the years before World War II, and Nguyen traces his gradual rise within the Communist Party throughout the 1950s. 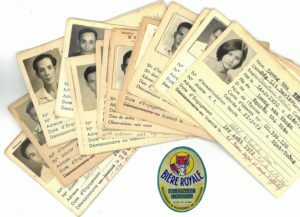 What emerges is a picture of a savvy and ruthless bureaucratic infighter whose worldview and strategic outlook took form in the crucible of the First Indochina War and who, in the late 1950s and early 1960s, along with his loyal ally Le Duc Tho, defeated everyone who challenged his authority. 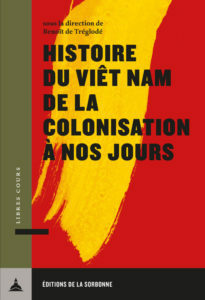 A signal contribution of Nguyen’s book is how it reaveals how sharp the internal disputes were between the hard-liners, such as Le Duan and Le Duc Tho, who wanted to pursue an aggressive strategy of « total war » in the South, and the moderates, led by Ho and General Vo Nguyen Giap, who advocated a « North first » strategy of consolidating the Communist Party’s control in the North and working to reunify the country without resorting to large-scale war. As the Sino-Soviet split deepened and the insurgency in South Vietnam intensified in the early 1960s, Nguyen demonstrates, the opposing factions mirrored that schism: the hard-liners used Mao Zedong’s anti-imperialist exhortations to further their position, whereas the moderates embraced Nikita Khrushchev’s calls for « peaceful coexistence » to advance their cause. Nguyen never explains precisely how and when Le Duan consolidated his control, no doubt because of the obvious handicap under which she operated: it’s hard to make definitive judgments on internal Politburo battles without access to Politburo records. 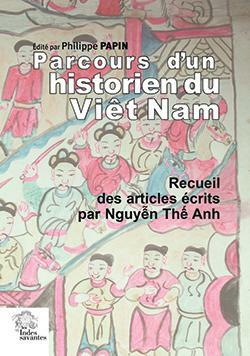 At various junctures, Nguyen is compelled to speculate that Le Duan « must have » thought this or « probably » sought to do that. She refers to Le Duan’s « assumption of power in 1960, » but her own evidence suggests that it took until the middle of the decade for him to gain authority and that even then, power fluctuated between the factions and continued to do so through the end of the conflict. 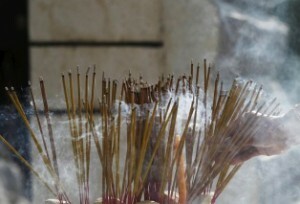 Ho, a strangely marginal character in the book, ceased to be a central figure in Hanoi’s decision-making process in the late 1950s, but he continued for some years thereafter to serve as an éminence grise in the inner sanctum and to play a crucial diplomatic role vis-à-vis Beijing and Moscow, a point Nguyen concedes but does not develop. 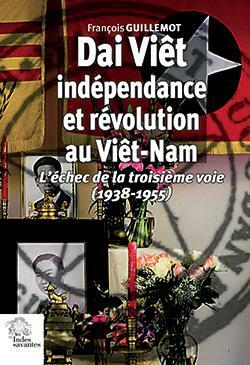 The book leaves no doubt, however, about Hanoi’s fundamental determination to prevail. North Vietnamese leaders, whatever their disagreements about strategy and tactics, were wholly united in their commitment to reunify the country under their control, regardless of the cost. 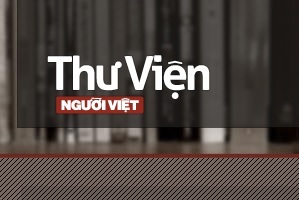 Thus, although Nguyen does not say much about U.S. and South Vietnamese decision-making in the early 1960s, her account gives little reason to believe that Washington strategists could ever have found a breaking point in Hanoi, whatever they might have tried. Ho, too, argued against a major assault on urban areas, as did the Chinese, who saw such a high-stakes attack as a repudiation of Mao’s strategy of protracted low-level warfare. The Chinese also feared it would increase North Vietnam’s dependence on Soviet aid and weaponry, thereby undermining their own influence in Hanoi. Le Duan’s gambit for a decisive victory failed — no uprising occurred, and the Saigon government survived while his own forces suffered huge battlefield losses — but he maintained his grip on power. And to skeptical colleagues upset about a military defeat, Le Duan could claim an important political result: the Tet offensive tipped U.S. public opinion against the war and toppled Johnson from power. Most historians would agree with Le Duan that the Tet offensive was a major political defeat for the United States, and in hindsight, it is hard to see how it could have been anything else. As Nguyen shrewdly points out, however, Tet marked less of a turning point in U.S. policy than it might have, because the incoming Nixon administration reversed Johnson’s efforts in 1968 to stem the escalation of U.S. involvement in the war. « Like Le Duan and Le Duc Tho, » she writes, Nixon and his national security adviser, Henry Kissinger, « were confident that they could succeed where their predecessors had failed. » She proceeds to detail how the two men implemented a three-pronged strategy to regain the initiative in Vietnam — militarily, diplomatically, and domestically. Nguyen makes equally insightful contributions concerning North Vietnam’s strategizing in 1972, illuminating the ways in which Nixon’s opening to China and pursuit of détente with the Soviet Union left leaders in Hanoi feeling squeezed. These U.S. policies spurred the North Vietnamese to launch their ambitious but only partially successful Easter offensive; Hanoi made modest territorial gains but neither ousted Thieu nor altered the overall military balance of power. 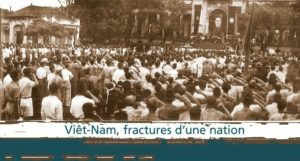 Regarding the negotiations that began in 1968 and ultimately yielded the Paris peace accords in January 1973, Nguyen exhaustively elucidates the twists and turns in the North’s bargaining posture. 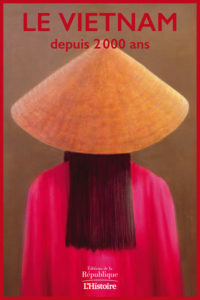 She demonstrates how the bitter memories of the 1954 Geneva Conference, which ended the First Indochina War and divided Vietnam, exerted a powerful influence on Le Duan and his colleagues. In 1954, Ho’s government had bowed to pressure from Beijing and Moscow to accept a lesser deal than the military balance indicated it ought to have. In 1972, Hanoi’s negotiators were determined to avoid that result and to set policy on their own. 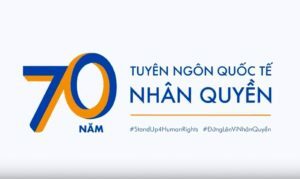 (Nguyen might have noted that their recollections were selective: in early 1954, Ho and Giap had had their own reasons for wanting a compromise. Their forces were battered and exhausted, and they also had to worry about the prospect of U.S. military intervention should the talks collapse.) The North Vietnamese were only partially successful in preserving their autonomy, as the Chinese and the Soviets again leaned on them privately to settle with Washington. Nguyen’s study also details the fascinating ways in which the fractious Sino-Soviet relationship proved alternately helpful and problematic for North Vietnam’s leaders: they were adept at playing one patron off the other, but at times they were left marginalized, lacking support from either. In sketching these ties, Nguyen’s study lives up to its billing as « an international history of the war for peace in Vietnam. 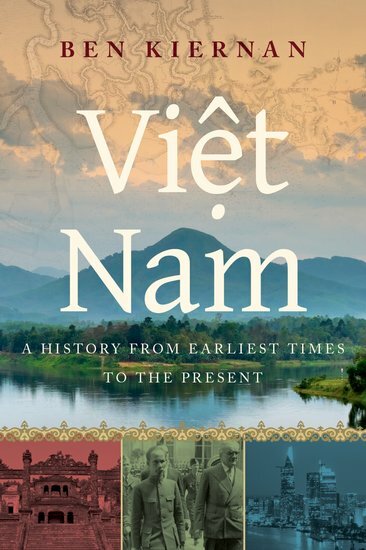 » Yet the subtitle implies a book with a broader scope than Nguyen delivers. 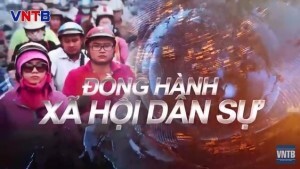 Although the introduction promises a thorough treatment of South Vietnam and its leaders, the Saigon government emerges as a prominent actor only late in the drama. 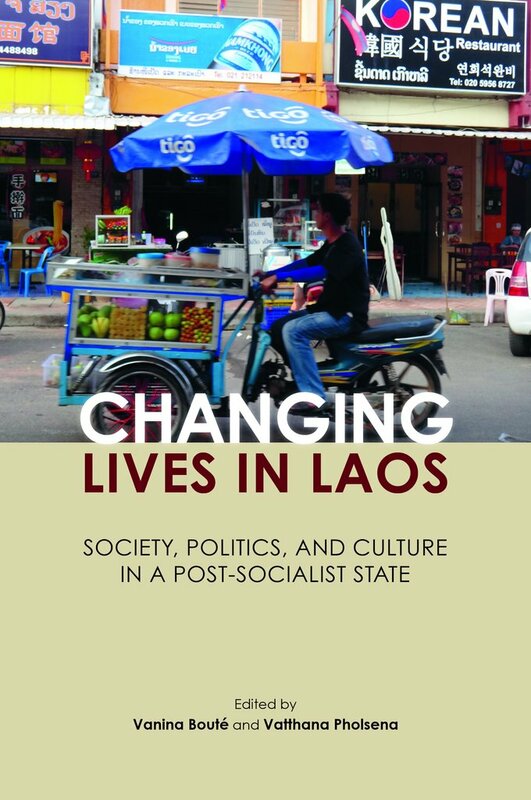 Likewise, Nguyen might have provided a fuller assessment of the government’s popular standing or of the larger state-society dynamic in the South. 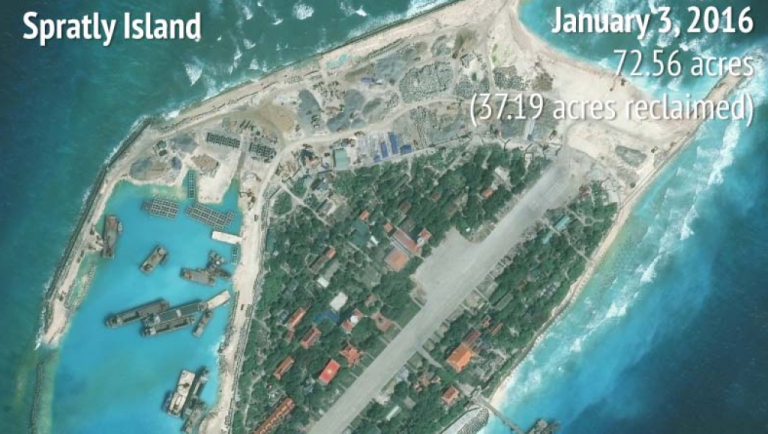 When telling the U.S. side of the story, Nguyen relies mostly on published sources, including the State Department’s excellent Foreign Relations of the United States series and a select number of key secondary accounts. For the most part, her interpretations of Nixon and Kissinger’s policies track closely with those of previous histories. Partly for this reason, it seems doubtful that this book will dramatically alter the ongoing debate in the United States about the war. 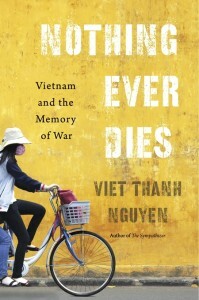 Like the communist sources on the broader Cold War, works such as Nguyen’s that are centered on the Vietnamese revolutionaries enable analysts to continue the same old arguments — about the reasons the United States got involved in Vietnam in the first place, decided to fight a large-scale war there, and ultimately failed in its effort to preserve an independent, noncommunist South Vietnam — only with a higher level of sophistication. On that basis, it may be said that Hanoi’s War offers limited support for revisionist analyses of the struggle, while still upholding the essence of the orthodox position. 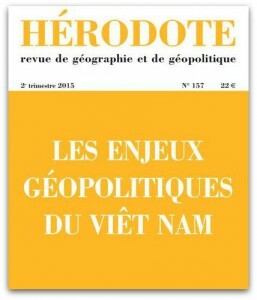 Nguyen makes it crystal clear that strategists in Hanoi made their share of misjudgments, bickered among themselves, and, like political and military leaders everywhere, acted partly on the basis of careerism and personal advantage. She leaves no doubt that the leadership faced periods of acute tension and uncertainty, notably in the aftermath of the Tet offensive, and at various points confronted serious morale problems, both in the armed forces and among the northern populace, as well as discontent among the intelligentsia. 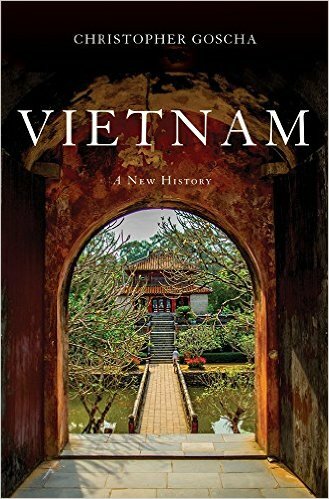 Still, nothing in this book ultimately challenges the prevailing view that the United States and its South Vietnamese allies always faced very long odds in this war. Their adversary’s ruthless commitment, unshakable tenacity, and skillful fighting were, from start to finish, remarkable — as impressive as those of any combatant in the annals of modern warfare. The Saigon government, meanwhile, was crippled from the outset by three principal shortcomings that no amount of U.S. intervention could overcome: professional military inferiority, endemic corruption, and insufficient popular support. Source : Foreign Affairs, Review essay, November/December 2012.